We have 3 Suites and 45 rooms. Located just 1km from Kavadarci’s town centre; Hotel Feni offers comfortable spacious rooms with private bathrooms. 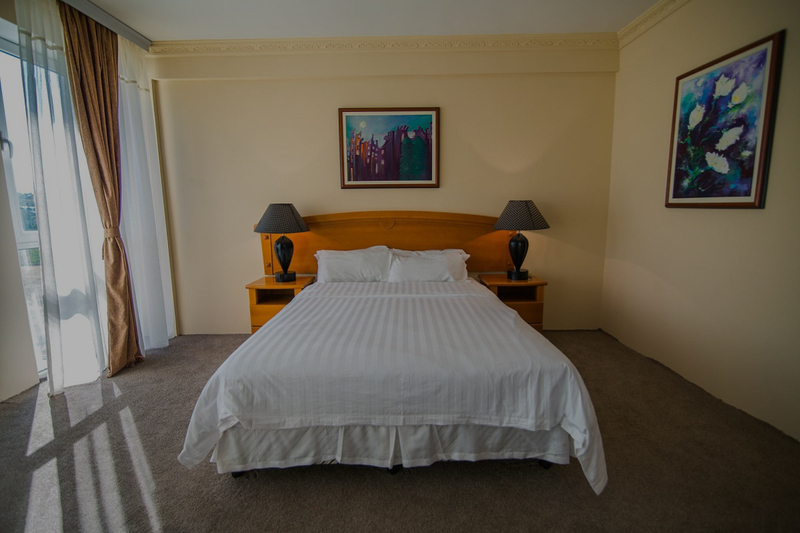 All rooms at our hotel are equipped with high quality Australian Made Sealy mattresses, flat-screen TV with cable television, Wi-Fi and separate seating area with comfortable armchairs. Buffet breakfast is available at the restaurant daily. We offer our hotel guests and visitors’ onsite parking at no extra charge. We are open 24 hours a day, 7 days a week. With just a short drive, guest’s can explore many of our historical and natural features within the Tikvesh region; such as Lake Tikvesh, Tikves Natural Reserve, Stobi ancient town and various churches and monasteries. Our region is also known for its magnificent vineyards and wine, guests can enjoy visits to many local wineries. Hotel Feni has an ideal venue for each of your business events, weddings, christening celebrations, birthdays, meetings, seminars, training programs, press conferences, sales presentations or for any other special occasions. Our venues can facilitate from 10 to 500 seats.